How to Make DIY Easter Egg Maracas - SUPER EASY! Easter egg maracas are a fun DIY instrument for toddler and preschoolers. 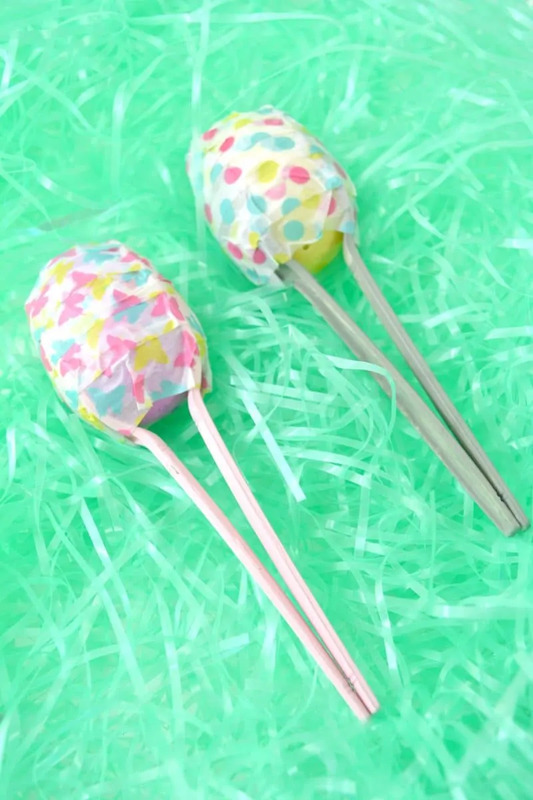 These easy DIY maracas are simple to make using plastic eggs and plastic spoons. Looking for an idea of what to do with all those plastic Easter eggs that the kids have left over from their Easter egg hunt? 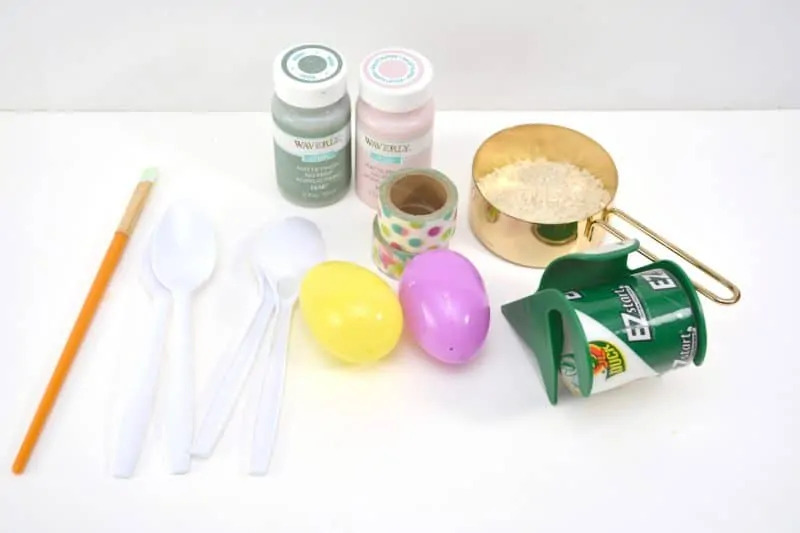 These DIY easter egg maracas are fun and easy to make using plastic eggs and materials that you probably have in your cupboard and craft stash. The kids will love shaking their maracas to the beat of their favorite songs, or using them to make their own music. Check out the step-by-step tutorial below so that you and your littles can make these fun DIY instruments as well! 1. If desired, paint plastic spoons in your choice of colors and allow to dry. 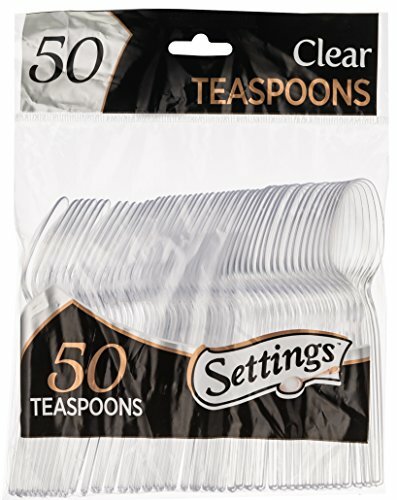 You can use any craft paint you have on hand that will stick to the plastic material of the spoons. 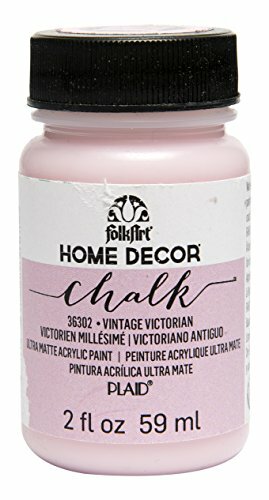 We chose to use a chalk paint since it dries quickly, has a matte finish, and requires only one coat. Or skip the painting entirely and skip to step 2! 2. 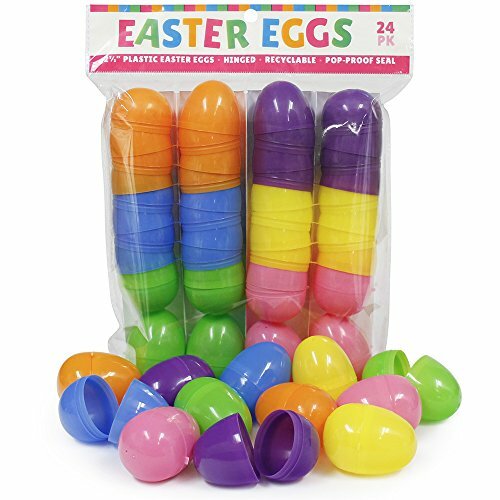 Fill a plastic Easter egg half full with rice, beans, beads, or any other small items that you have on hand that will allow your maracas to make noise when shaken. 3. Use washi tape to tape the egg closed. 4. Once the spoons have dried completely, face 2 spoons towards each other with your filled plastic egg between them. 5. Wrap washi tape around the spoons and the egg to secure them all in place. 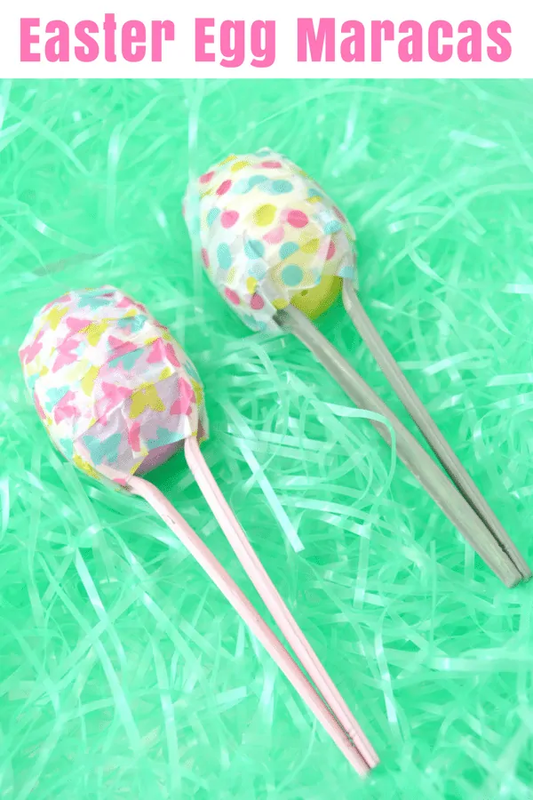 Continue to wrap the egg and spoons in washi tape until the top of the spoons and the entire egg are covered. 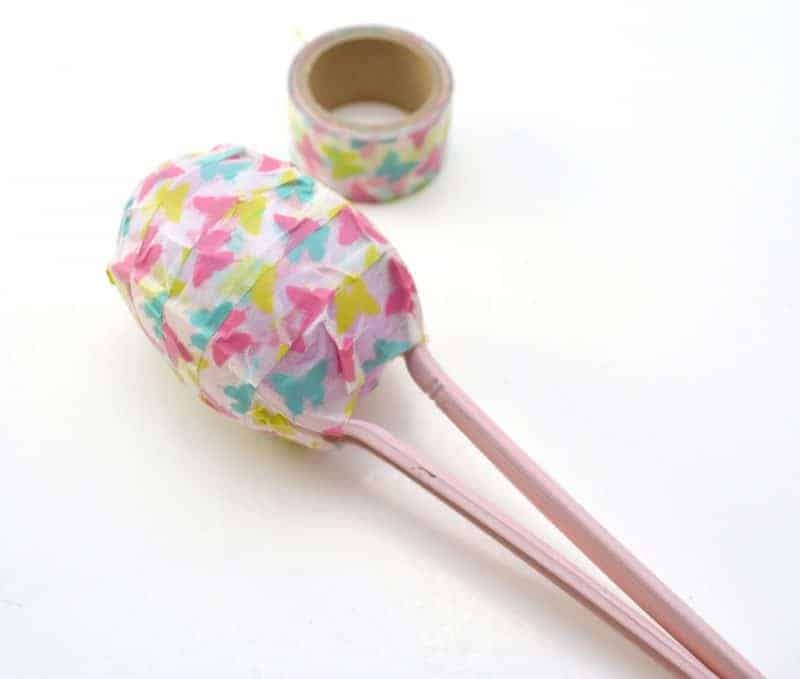 Smooth the washi tape into place so that it forms the shape of the egg. 6. Let the little ones enjoy shaking and playing with their homemade Easter egg maracas. I hope that you enjoy this easy Easter craft idea and that you and your family have a very happy Easter! 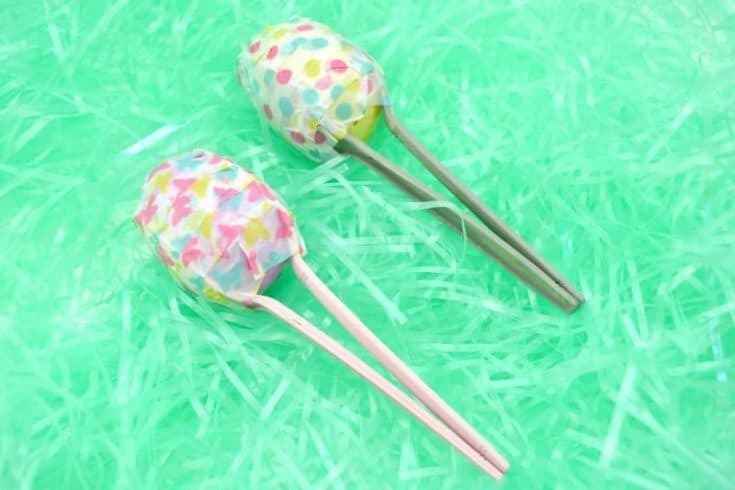 Turn plastic spoons and plastic eggs into homemade maracas with this easy Easter craft. 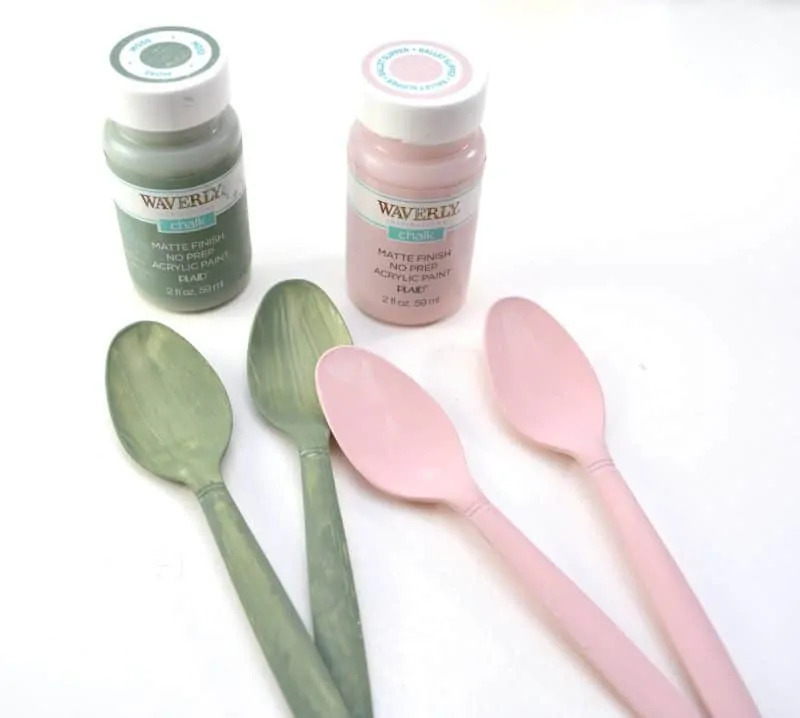 If desired, paint plastic spoons with craft paint and allow to dry. 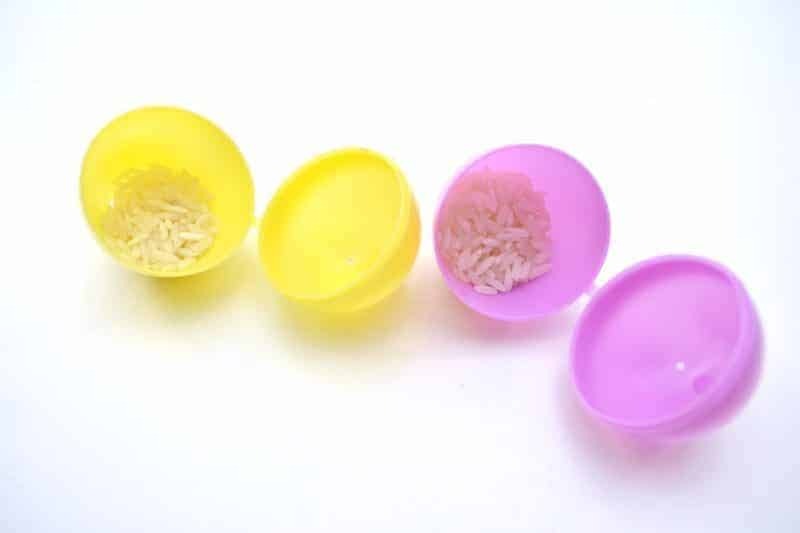 Open a plastic egg and fill one half of the egg about halfway full with your choice of small item (rice, beads, beans, etc...). Close the egg. Once closed, the egg should be about 1/4 full. 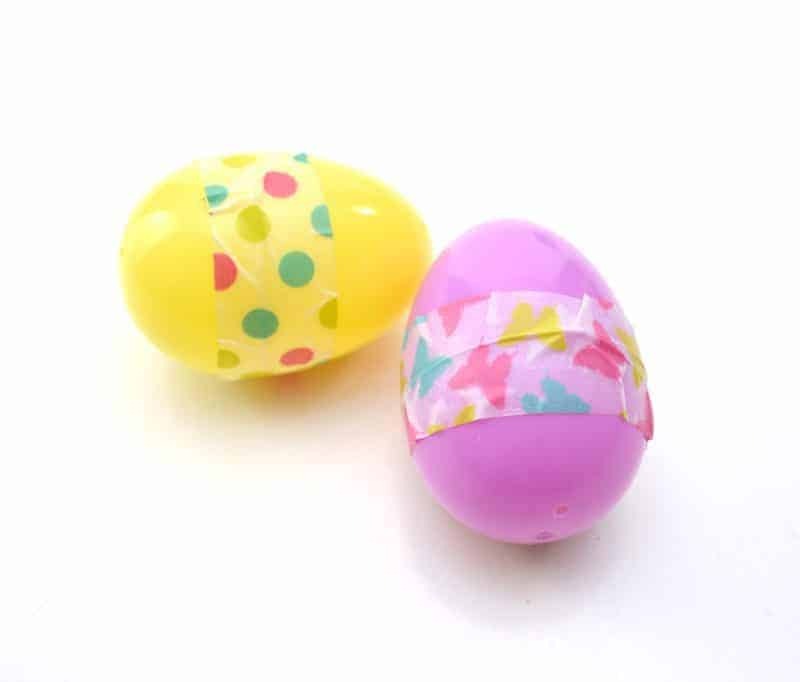 Using washi tape, tape the seam on the egg closed. Face 2 spoons towards each other with the filled egg between them. Wrap washi tape around the spoons and the egg to secure everything in place. Continue to wrap the until the top of the spoons and the entire egg are covered. Smooth out the washi tape so that it forms the shape of the egg. 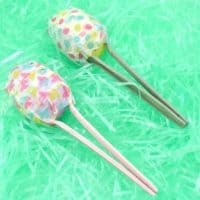 Let the little ones enjoy shaking their homemade Easter egg maracas! These look like fun and a great way to reuse plastic eggs! What a fun and easy idea! My toddler would love making this together and then playing with it after! My kind of craft – easy! And I already have everything on hand to make these. Thanks so much! These are so pretty – and easy peasy! 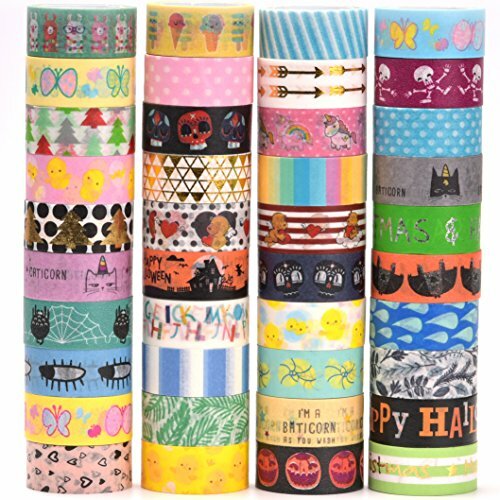 You could also change up the washi and make them for other holidays as well.